Hello from Atlanta today where I presented on a panel at SCAD Style 2010 "Why One of a kind Matters" along with One of Etsy's first employees, Vanessa Bertozzi along with illustrator and designer Heather Ross. 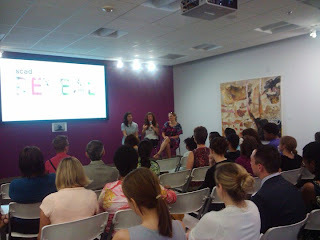 We were moderated by Amy Zurcher director of shop SCAD. The same event will repeat tomorrow at the Savannah campus if you are in that neck of the woods please swing by and say hello. 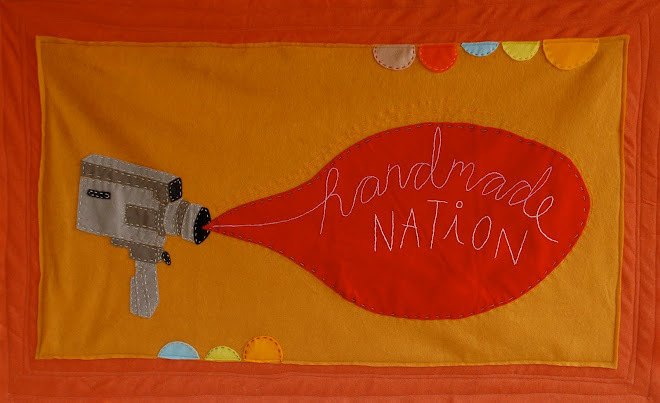 We also had a visit from my old friend and Handmade Nation featured designer Christy Bardis who snapped this photo (that's me in the middle!). I wish I had more than 12 hours in Atlanta, sigh...next time.... Savannah, I'm all yours (for the first time! ).